In 2012, oratory from the First Lady of a nation, set the literary world on fire. Her most sustaining line, “Being President doesn’t change who you are, it reveals who you are” ignited debate on whether the missing link to Rudyard Kipling’s masterpiece, “If”, had finally been revealed. Few educational details have remained categorically intact from my years inside learning institutions. Taken as a whole, the formal educational portion of our lives, if used effectively, is the mechanism that inputs the mental data, and is near or at the top of the most important influences, that not just helps to define who we are and who we can become, but enriches us with the mental and social tools, allowing us to build the life of our dreams. Giving a grateful acknowledgement to my host of elementary school teachers for their – what I now realize – complete generosity of self, for embedding in me the basic general principles and ultimate necessities, that everything else in life will follow. However, while I understand I retained the knowledge, I do not remember exactly the moment it clicked, that two plus two equaled four. But, what I do remember, with absolute photogenic certainty, is when, where and how I learned the meaning of If by Rudyard Kipling. If you can keep, your head when all about you are losing theirs and blaming it on you. Passed down from one generation of men to the next, If is profoundly brilliant and considered by a few, to be the epitome of self-help literature. In simply a breathtaking oratory, The First Lady of the United States of America Michelle Obama, has with humility and grace, managed to modernize in our minds, the greatest poem ever written. Moments after the beauty of her lyrical flow rained down on a nation, I imagine many of us grabbed hold of the most defining line in her speech, – in any speech from the past quarter-century – and made it our own. Substituting the word (and title of her husband), ‘President’ then inserting the word (or title) each of us uses, in public or private, that defines whoever or however we define our own self. If you can dream–and not make dreams your master. Inspired by the actions of Dr. Leander Starr Jameson, leader of a British raid against the Boers in the late 19th century, Rudyard Kipling’s If, served as a war anthem and inspired fortitude amongst the troops. Its longevity would soon prove, in the mind of literary intellects, that its true genius was in its ability to speak to each person – individually. Each stanza exposes a burden of life, then seamlessly delivers a viable solution to conquer the burden beholden before it. If is a 104 year-old masterpiece. A patriotic gift to a nation of tired soldiers. 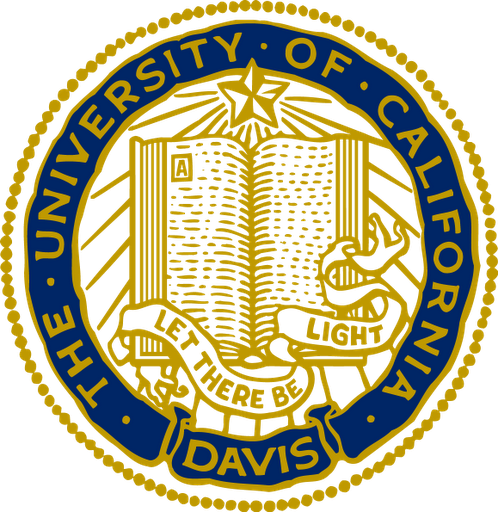 In the spring of 1987, as a collegiate at the University of California, Davis, the apex of my formal years within the institution of learning, If became a resounding part of my life. Introduced as a mandatory memorization exercise, not by the professors or guest speakers who lectured me, but as a direct result of my commitment of obtaining a degree and my understanding the privilege of being part of a ‘university-bubble’. It is a salute to the culture created in college towns across America, and a nod to the generation of Men, that unapologetically drilled it into me, having the wisdom to know I would need it. Michelle Obama shared stories from her childhood, both denoting her understanding of the challenges we face – painting a visual picture of a struggling father’s unbending commitment to his family – but accentuating, that we have the nobility in us, as individuals, as a family and as a nation, to overcome said challenges. Offering inspiration in a time of need. But it did more than that. It summed up a historical, and arguably, the most important piece of poetry ever written. What I took from what she said; even if we successfully turn back every boulder life hurls our way, the true measure of the victorious, is the person those victories reveal. Yours is the Earth and everything that’s in it, And—which is more—you’ll be a Man, my son! If there was one criticism of If, is the emphatic fashion to which Kipling exclamated the conclusion. But in context, all of the soldiers, during that era, were men, and it was to them it was written. But in present day, it appears antiquated. Denying half the world’s population its full embrace is unworthy of such a great piece of work. That Mrs. Barack Obama and Rudyard Kipling have never met, making their marks more than a century a part, is poetry within itself. But the real significance of the literary union between the two, is she has demonstrated by example, that The Earth and everything that’s in it, can belong to women too. Inspiration from First Lady Michelle Obama & the late Rudyard Kipling. You’re too much! YOU are rockin’ here. Look at your stats. Even more significantly, the caliber of your writing. The honor remains mine. You put it so well. I taught elem, and the best of the teachers at that level are the best of teachers anywhere. So glad to hear this ring of appreciation. Very well written post. Love your command of the language. I, personally, would add a comma just before the final word. You end your piece the way I suggested in my most recent post, the finale to the writing process. I am so thrilled to have received your comment. From YOU, a former elementary school teacher and an instructor of the English language. This is one of my favorite pieces, and to receive confirmation from someone like you is humbling and inspiring. Thank you for reading and for your comments. I have your post bookmarked and i look forward to continual reading. Marcus, please accept my apologies for the delayed response. Thank you for the kind words and for sharing with your wife. Kendall, you have done an excellent job of outlining the correlation. I am beaming with pride because, for one, you wrote it and for two, while watching the speech, I somewhat understood but not fully. Thank you for bringing me up to speed and giving me food for thought! Charisse – I am reviewing the comments on my post, all of which put a smile on my face. I realize that I never responded to yours and for that I am truly sorry. Thank you for such kind words and for being such a loyal reader. You are appreciated. I didn't understand the correlation on first read, but after a discussion with my wife, a literary enthusiast, it became all too clear. Bravo. I can feel the connection too. Thank you for bringing a little something different than the usual political spin.